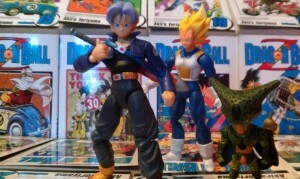 Part of the S.H.Figuarts line of super articulated and anime accurate toys based on the Dragon Ball Z series. 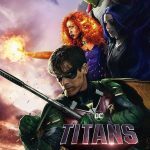 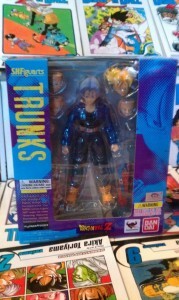 The latest is Trunks who was the most in demand character in the toy line. 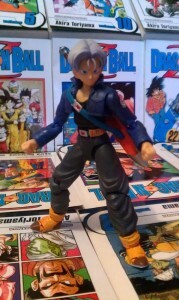 The pictures of this Trunks figure can’t really do this figure justice. 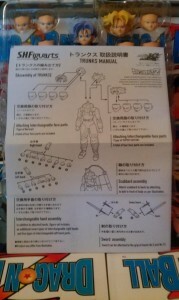 As soon as you see the box and the sheer amount of accessories show how much care and detail have gone into the design. 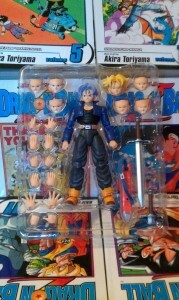 Accessory wise he comes with eight heads, that’s four normal and four super saiyan with yellow hair. 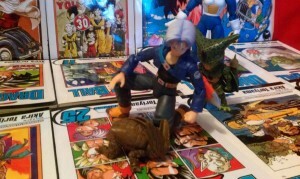 He also comes with 16 hands including sword grips, that crazy finger pose he did before slicing up Freeza and his signature sword which comes in three accessories. 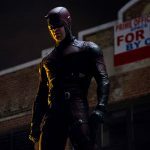 Compared to other toys in the series he is pretty maxed out with extra parts, all together it gives hundreds of different combinations of looks along with thousands of poses. 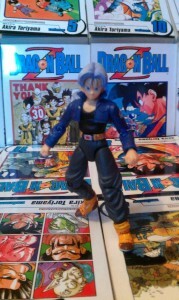 For the size of this figure he comes with a huge amount of articulation, a 12″ – 14″ figure might be lucky to have articulation like this and Trunks is only 5-6 inches high. 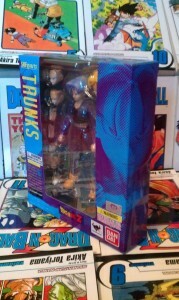 He has roughly 38 points of articulation head to toe. 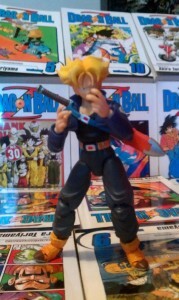 Paint wise he is anime accurate and has a much better finish than others int he line like the orange toned SS3 Goku. 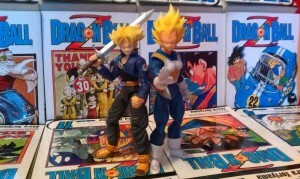 similar to the Super Saiyan Vegeta his paint is well bonded to the plastic and would be difficult to scratch off, the kind of paint job you would expect from one of these high-end Japanese toys. 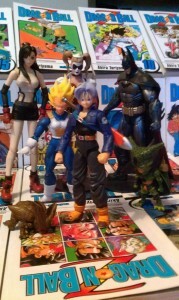 The bad points if any would be the lack of a stand, in a lot of the convention displays and press shots show the SHFiguarts toys with stands and it would help display these figures a lot easier. 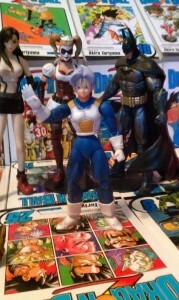 Also although he has roughly the same amount of joins as Vegeta he is a bit more limited in what he can do while standing as balance seems a little off. 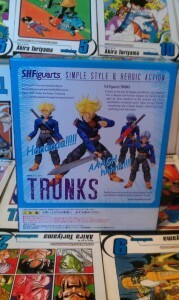 Overall Trunks coms highly recommended to any Dragon Ball Z fan, detail wise he is pretty much flawless and we probably wont get a better representation of the character than this.